In a week where MPs held a general consult on the Dangerous Dogs Act (1991), PETA shocked everybody by backing a move to add Staffordshire Bull Terriers to the act. Branding a stereotype on one of the most commonly kept breeds in the UK was unsurprisingly, not popular amongst the general public. The deeper you delve, the easier it is to see that PETA are making a point that we badly need to be reminded of. Media coverage of the statement prompted 18,000 UK residents to sign an e-petition opposing the ban, and one MP branded PETA a “ridiculous organisation” for publicly voicing the view. The point wasn’t even up for debate; parliament made it clear that within the consult, there were no plans to add Staffordshire Bull Terriers to the list of banned breeds. PETAs message and the parliamentary debate where never in the same line of thinking, and so the public reaction to PETAs message was on different terms to the issue up for debate. PETA were too quick to make a controversial statement; they clearly planned to grab people’s attention- and they did that- but the claim was a bit too close to home for many dog owners. The media also had a role to play in this confusion. PETA didn’t have chance to explain themselves before the headlines were brandished across the UK media, and from there, the whole consult became about banning Staffordshire Bull Terriers- and the real message of their statement lost all meaning. The public reach was fundamentally flawed, and as such, it was a disaster. Let’s be clear on PETA’s message. The media’s reports are true in that PETA want to support a ban on breeding Staffordshire Bull Terriers; but more than that, they would support a blanket ban on breeding all dog breeds. The current state of dog breeding in the UK is outdated, but we are a country that prides ourselves in leading the world in animal welfare. Currently, anybody can breed dogs and sell them for profit. Protected by the Animal Welfare Act (2006), dogs are not legally farmed or mistreated, but without question, this unregulated practice has worsened breed-related conditions. Dogs are freely being bred through a narrowing gene pool, and as such, the law is neglecting their welfare. The underlying message people should get from PETAs statement is that people should be adopting the thousands of dogs in shelters and pounds around the world desperate for a home, rather than bringing more animals into the world, destined for rescue centres- or worse.Why are Staffordshire Bull Terriers the focus of this debate? 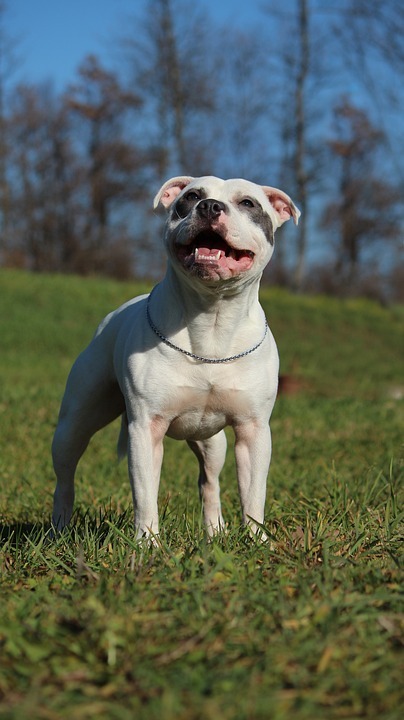 Pit bull-type dogs have their own breed pre-disposition: they are the worst-treated dogs in the world. 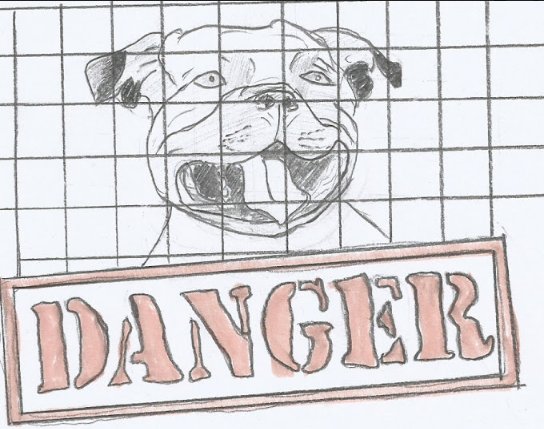 The RSPCA claim that 80% of cruelty to animals’ prosecutions concern Staffordshire Bull Terriers. Of course, not every Staffordshire Bull Terrier is mistreated, on the contrary, most are loyal, friendly and energetic, but the reputation of the breed is ruined by the minority who exploit them. From a utilitarian ethical viewpoint, it makes perfect sense to protect them from being bred into a world that mistreats them. Breeding dogs in a regulated way, both by health and by population size would have a multitude of benefits. Vets could have a say on the dogs that can breed based on their health, and economists could regulate their population, so less are likely to end up in rescue centres. The difficulties in this lie in the legislation by which we own dogs; they are covered by property law, and as such, people can do as they wish with their dogs. Changing this requires a fundamental shake-up lots of the laws that govern the way we keep animals. You could only ‘licence’ breeders if you could prove that it is dangerous to breed dogs without one- and that isn’t the case for most breeders.Dogs have to be protected from haphazard and thoughtless breeding by those who don’t know enough about it, or have the wrong intentions in mind. Those dogs in rescue kennels have to be given another chance at life. Perhaps the so-called ‘consumers’ also have to be protected from the unbelievable price tag that can come with popular breed puppies. When you think about it, PETA’s position doesn’t look so radical, after all.